Designed for both Home and Small Businesses. Perfect for controlling strong odors large areas. This unit covers approximateley 3500 sq ft. with a choice of sensual fragrances. This unit can be used as a wall unit or portable unit. 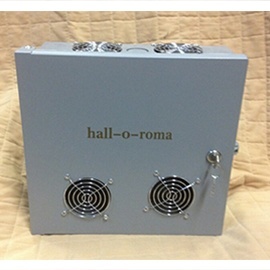 Categories: HallORoma, Odor Treatment Systems, Hall-O-Roma Electric Dispensers. Tags: Odor control, Odor treatment.